Winter Wonderland conjures up images of white crisp snow under foot, twinkling lights on drifting snow flakes and a cold icy atmosphere forcing you to drench your senses in a white fur coat. Yes? 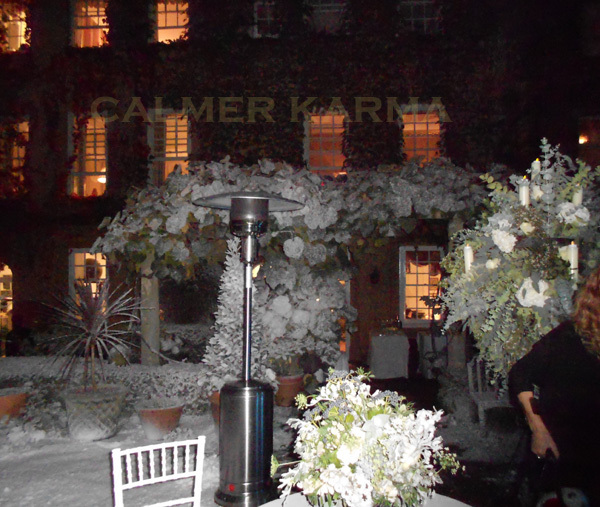 But, what if your Winter Wonderland event is taking place in Chelsea by the river on an evening in October that’s down on record as being one of the warmest Autumns on record? Will it snow? Of course it will, if your client is lovely as ours and it is her dream for a pre-wedding cocktail party in the garden. Having a gate buzzed open to reveal a Winter Wonderland garden whiter than white is a dramatic statement on its own, particularly when you’re not expecting it, which nobody was, but we decided on adding a little extra theatre to enchant guests as they strolled up the winding path to the front door in the form of high impact fire. 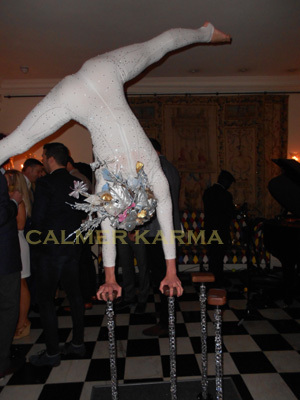 As guests entered the hall the Winter Wonderland theme continued with subtle and elegant touches, beautiful sounds of the romantic harp and an acrobatic art installation to the back drop of a roaring log fire. 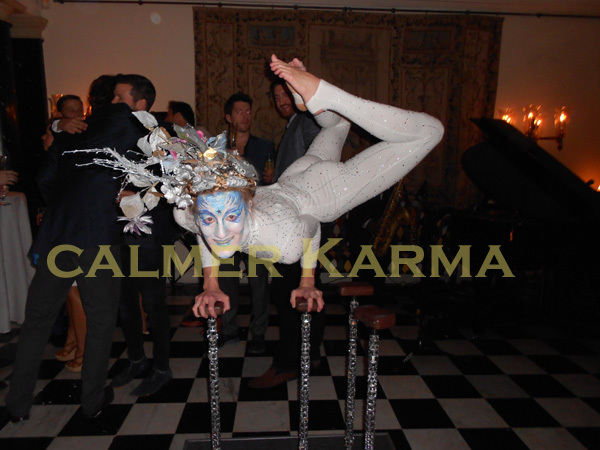 But, the entertainment brief from our client was to keep the guests flowing through and lead them into the garden at the rear of the house, so in true artistic Calmer Karma style we teased our lovely guests out by using an old friend called ‘curiosity’. 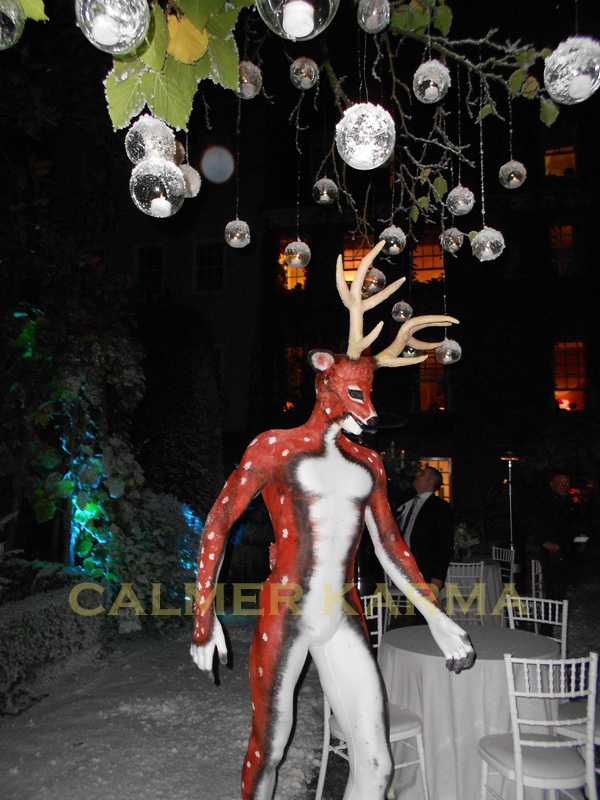 So, as guests sipped on champagne cocktails they couldn’t resist the temptation to find out whether they had really spotted a reindeer hiding behind a tree at the bottom of the garden. 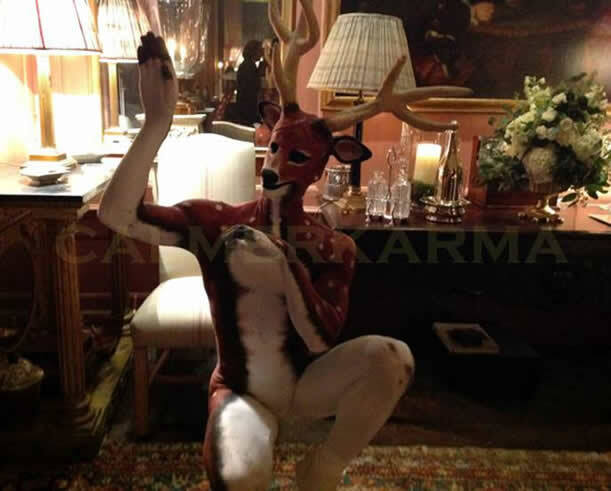 But, while the guests debate on the chances of seeing a reindeer running around a private garden it’s time to create the photo opportunity in the form of this stylish, timeless Winter Wonderland living masked statue. 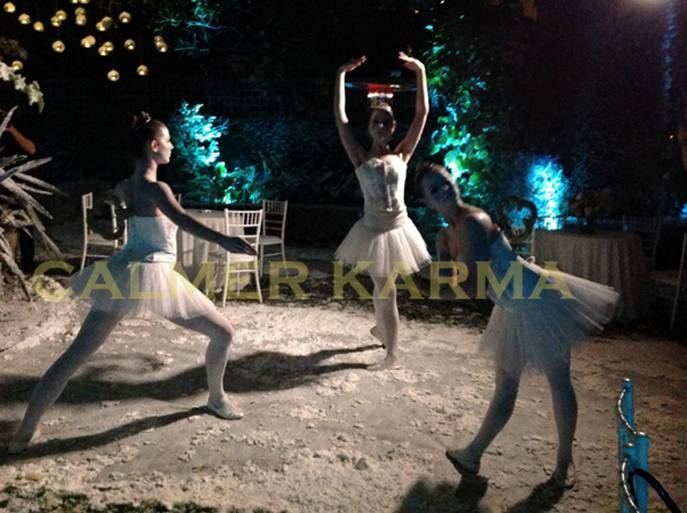 To create some movement in the Winter Wonderland snow drenched garden we introduced a troupe of clockwork ballerinas which kept guests fascinated as they mingled through the guests to appear spontaneously in the middle of the snow and performed a choreographed piece. 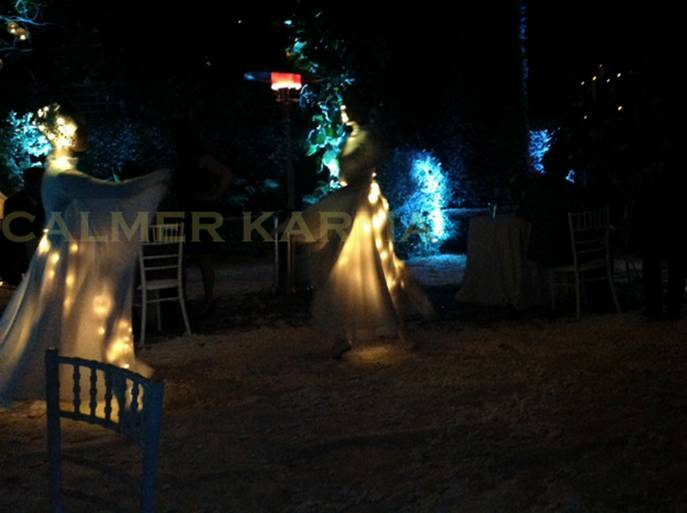 And, as a beautiful Winter Wonderland evening came to a natural end and the bride to be jumped into her carriage to prepare for her big day (the next day that is) the guests were left to watch ‘The Show of Lights’ whilst being entertained by ambient mix and mingle crystal ball manipulation to the final notes from the jazz band…..
Just one question remains; Now where did that Reindeer go?....Rudolph? 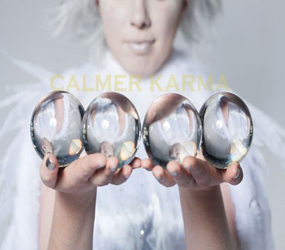 If you are dreaming of your very own Winter Wonderland themed party then please get in touch on 020 3602 9540 or take a peek at what we can offer at www.calmerkarma.co.uk. 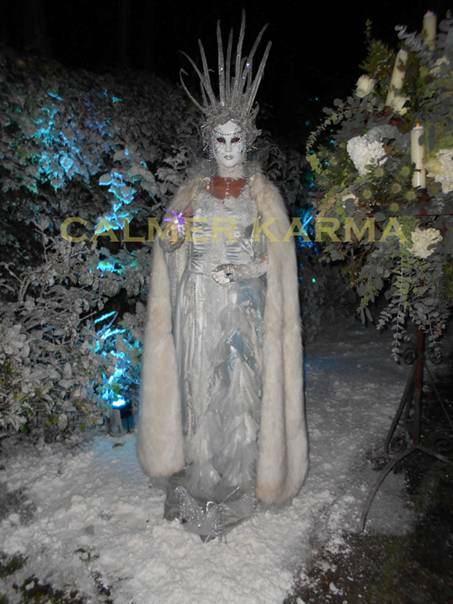 We will be most delighted to supply anything from a single act to a full schedule of Winter Wonderland fantasy entertainment including the management team onsite to run the entertainment for you. 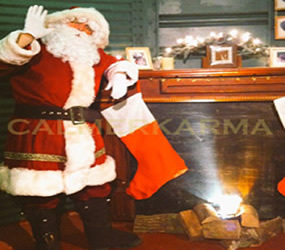 We can provide themed props and supply an event photographer to ensure you get the best from your photographs.